You probably saw it included in our list of 70+ festivals happening in/near ATL this summer, but we just got an exclusive early look at the quite-amazing lineup of acts hitting the stage at ONE Musicfest on Saturday, September 12th, 2015, at Aaron's Amphitheatre at Lakewood. For its sixth year, the single-day “urban alternative” concert is going top tier, with headliners including Ms. Lauryn Hill (post-marriage prefix included! ), The Roots, A$AP Rocky, and Janelle Monae. 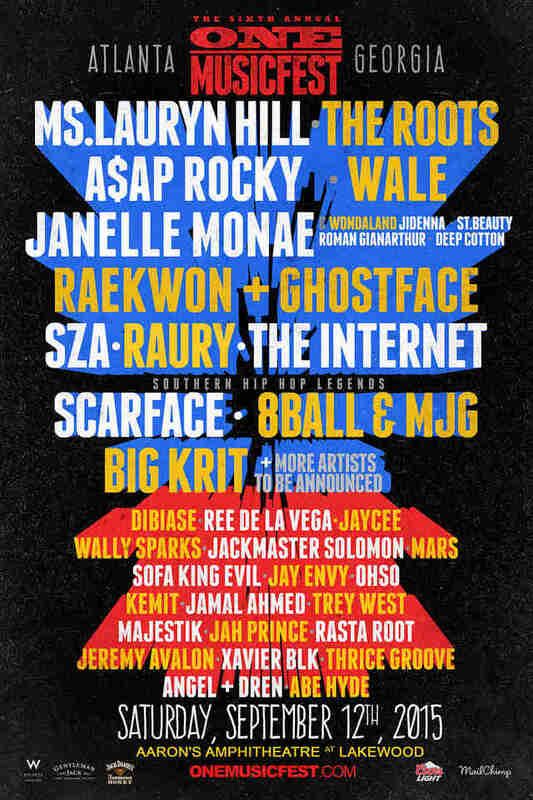 The multiple stages will also feature ageless rap legends 8Ball & MJG, Raekwon, Ghostface, Scarface; current hip-hop favorites like Wale and Big K.R.I.T. 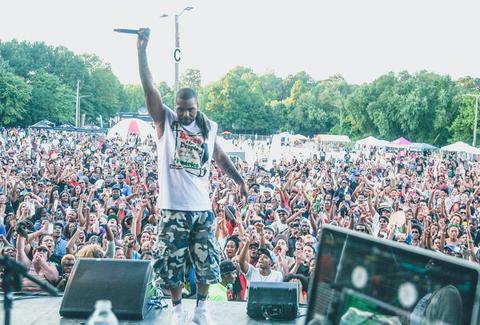 ; and buzzy newcomers like ATL’s own Raury, soul songstress SZA, and Odd Future affiliates, The Internet. Plus the Kansas-born (but ATL-groomed) Monae is bringing her official Wondaland Records crew of artists in tow, including emerging crooner Roman GianArthur (whose “I-69” song’s not at all about highways), and funk duo Deep Cotton, whose members Nate “Rocket” Wonder and Chuck Lightning met as Morehouse students in 2002. There’ll also be at least 25 DJs spinning rock, hip-hop, electro, reggae, funk, disco, house, alternative, and soul music throughout the 11-hour event, including local favorites like Kemit, Wally Sparks, Sofa King Evil, and Ree De La Vega. Tickets are available now, ranging from for $50 general admission lawn, to $90 for pavilion or pit seating.